You can configure your Amazon Creator app using a YouTube channel as the source for your video content. YouTube approach gives you a robust, free platform for hosting and serving your video. You can group your videos into different channels within the same account. Amazon Creator requires you to supply a developer API key in order to access the videos. Note: Many of these instructions relate to managing your videos on YouTube. These instructions were last updated in April 2018. If YouTube has changed its interface or workflow, these instructions may be out of date. Always consult YouTube's documentation to get the latest information. In the upper-right corner, click your avatar, and then click Settings. In the Name section, click Advanced. This takes you to Advanced Settings. Copy the value for the YouTube Channel ID. Go to the Google Developer Console at console.developers.google.com and log in using the same login you use for YouTube. Type a project name and click Create. 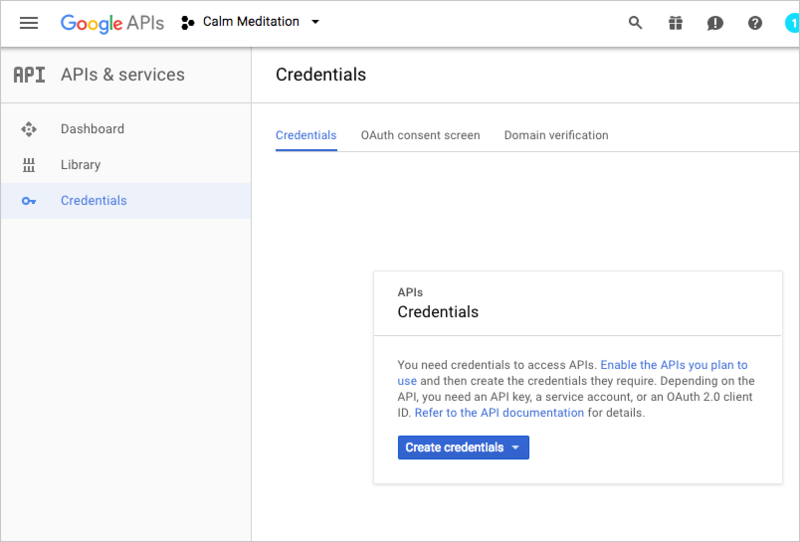 Click the blue Create Credentials drop-down menu and select API Key. Save your API key in a convenient location because you will need it when you configure Amazon Creator. 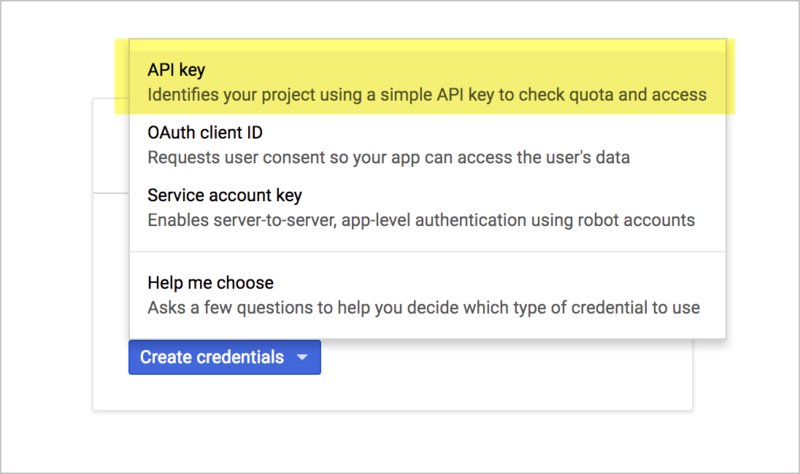 Important: You're not done yet — you need to enable Youtube API Data permissions for your API key. In the left sidebar, click Library. A list of APIs you can enable for your project appears. 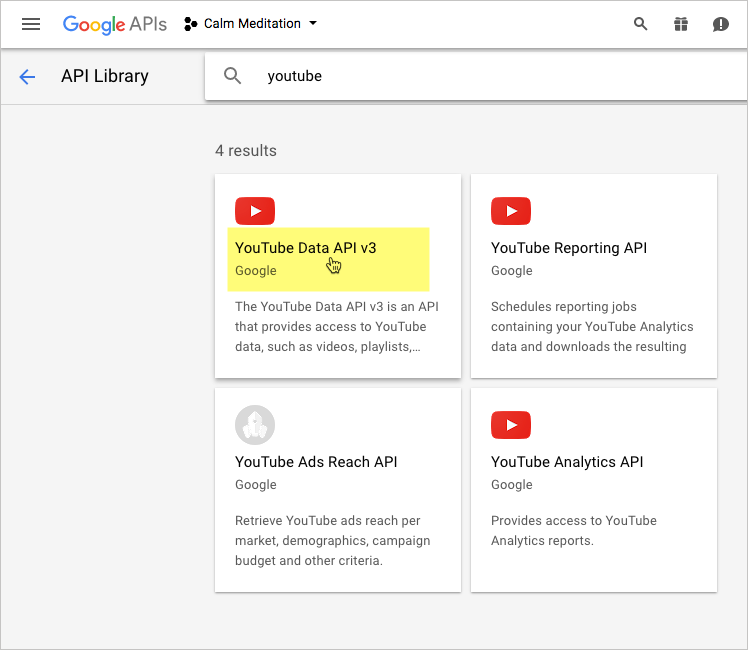 Type youtube in the search box, and then select YouTube Data API v3. Note that you can use the same API key for each Fire TV app you create (assuming each channel belongs to the same YouTube account). By default, Amazon Creator gets all the videos from your YouTube channel. If you want all the videos (actually, the last 50) in your channel to appear in your app, great, leave all the videos in your channel as is. After you create your app, you can edit your app and block videos from appearing in the app by specifying the video IDs you want to block. Get the IDs of the videos you want to block. To get the ID for a YouTube video, browse to the video. In the address bar, the ID appears after the = sign. 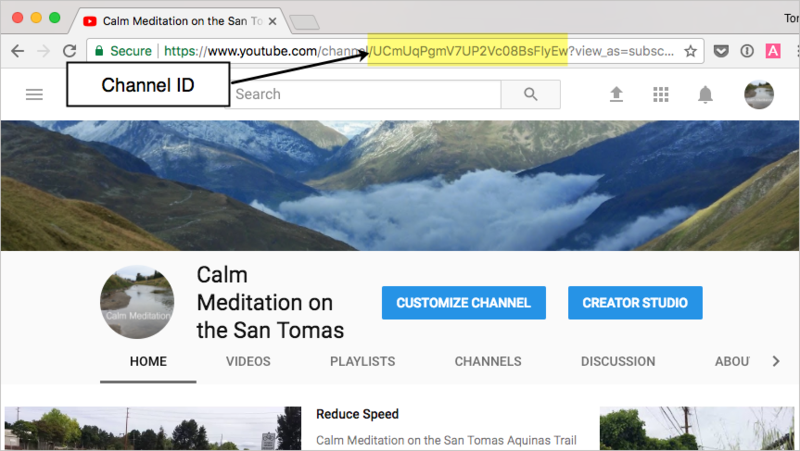 For example, if the URL of your video is https://www.youtube.com/watch?v=v49lSRT6-FY, the video ID is v49lSRT6-FY. Click Manage Apps in the upper-right corner. In your app details, next to "Source," click Advanced. In the "Blocked Videos" section, enter the video ID in the Video ID to block box and click Block Video. From YouTube, click your avatar in the upper-right corner and select Settings . Alternatively, go directly to your YouTube Account settings page. Under "Additional features," click See all my channels or create a new channel. Click + Create a new channel. If you created your YouTube channel before 2014, you may not see options to create a new channel until you first create a "brand account." Follow the links to create a brand account. (Newer YouTube channels already offer the ability to create multiple channels without first establishing a brand account.) See Channels migrated to Brand accounts for more details. As desired, customize your channel with art, a description, and so on. You can transfer the videos by first downloading your videos from one channel and then uploading them into another channel. To download a video, click your avatar in the upper-right, select Creator Studio, then expand VIDEO MANAGER in the left sidebar. Click the drop-down arrow next to a video and select Download MP4. After you transfer videos across channels, delete the videos from the old channel so you don't have duplicate video content across channels. See Manage multiple channels for more details. 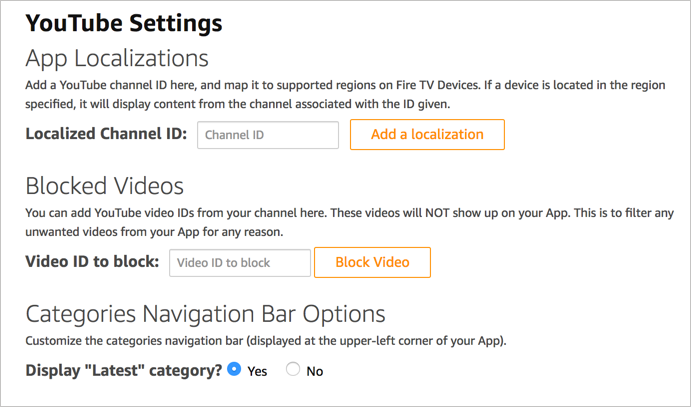 Now that you have multiple channels, you can configure your Fire TV app with the channel ID you want. By default, the Latest option in the app's category navigation bar shows the 50 most recent videos in your YouTube channel. 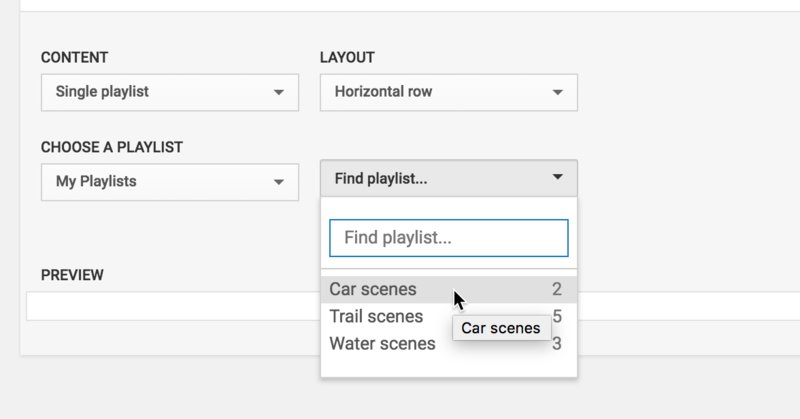 You can group your videos into different playlists, and then assign the playlists into different sections in your YouTube channel. The category navigation bar in Amazon Creator will list each of the sections in your YouTube channel. 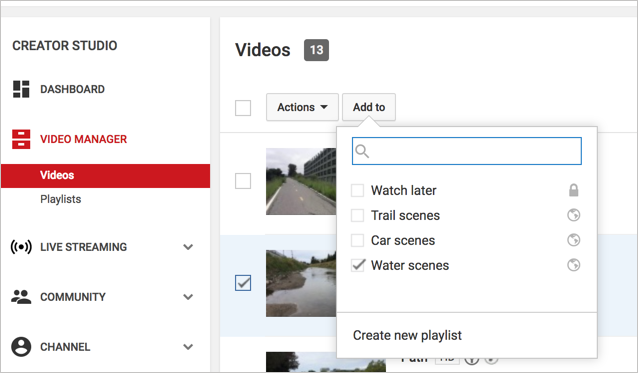 Each of these category navigation options is a "section" on the YouTube channel page. Each section is configured to display a playlist. From https://www.youtube.com, click your avatar in the upper-right corner, and then select Creator Studio. In the left sidebar, expand VIDEO MANAGER and select Playlists. 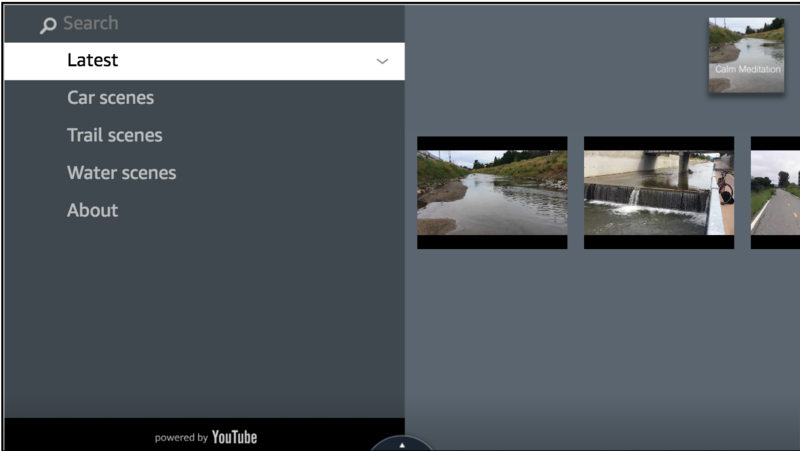 To add a video to a playlist, in the left sidebar, expand VIDEO MANAGER and select Videos. Select the check box next to a video, and then click the Add to button at the top and select the playlist you want to add the video to. See Create & manage playlists for more details. From https://www.youtube.com, click your avatar in the upper-right corner, and then click My channel. Click the CUSTOMIZE CHANNEL button. Near the bottom of the screen, click the Add a section button. 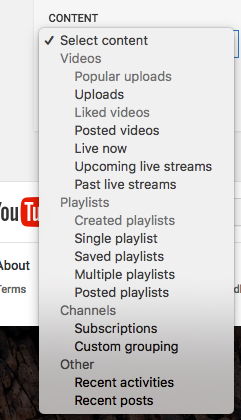 In the CONTENT drop-down menu, under Playlists, select Single playlist. In the CHOOSE A PLAYLIST section that appears, in the drop-down selection on the right, click Find playlist… and select the playlist you want for that section. Then click Done. (If your playlist doesn't appear, you may need to specify the playlist by inserting the URL to the playlist.) Repeat for each section you want to add. For more details, see Customize channel layout and Organize content with channel sections. Other section types will be ignored by Amazon Creator. Your channel's homepage needs to have some video content in order for the "Latest" option in the app's category navigation bar to populate with content. 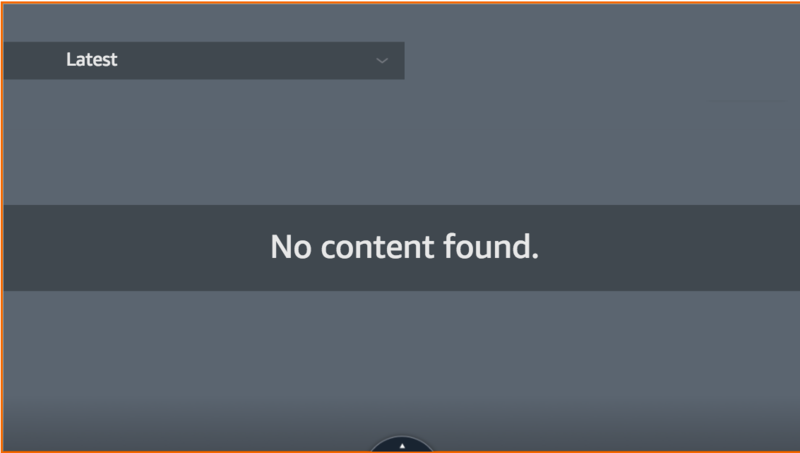 If no content appears on your channel homepage, your app will show a "No Content Found" message to users, or worse, your app may generate a playback error. To avoid this scenario, add some video content on your channel's homepage by following the instructions in the previous section, Group Videos into Playlists in Your App's Category Navigation Bar. In the Categories Navigation Bar Options section, next to "Display Latest Category? ", select No. If you hid your YouTube channel, you need to re-enable the channel to use it with Amazon Creator. After you create your app, go on to Step 2: Preview Your App. Amazon Creator converts your YouTube channel, Brightcove application, or MRSS feed into a Fire TV app so you can bring your video content into the living room of millions of Amazon customers. No coding required!